Last night more than a dozen members of the 60th Anniversary Celebration Committee, plus another thirty members of the public, were crammed into half of the Emergency Operations Center (EOC) for the long-delayed "after action" report about the event. The agenda is HERE. As I mentioned before, this meeting probably could have - and should have - been held last summer, shortly after the 3-day event that was the center piece of the celebration. 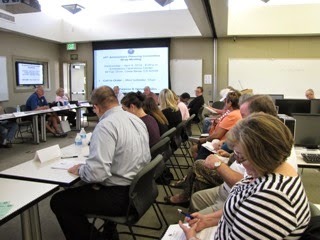 There were plenty of operational gaffes that would have been discussed and put behind the committee and the City Staff. However, circumstances - the huge question mark about the management of the finances of the event - got in the way and this meeting was put off, and put off and put off. And, as you might expect, concerns turned to anger and frustration and the whole thing began to fester like a boil. Last night it was lanced. Chairman Mike Scheafer kicked things off by welcoming all the participants and the interested residents, as well. He set out the ground rules - no personal attacks and try to keep it as positive as possible - then thanked the committee for an outstanding job. Then he handed the ball off to City Chief Executive Officer Tom Hatch for an overview. Hatch spent most of the next twenty minutes falling on his sword. He apologized for the mistakes made during the event and indicated he was looking forward to hearing the observations of the public and volunteers who worked to make the event a success. He discussed the reports handed out last night, including the Executive Summary of the Financial audit of the event. He said he was very disappointed in the way things went - that procedures were not followed that led to what he called "unbudgeted event growth". I think that was a kind way of saying somebody spent city cash like a drunken sailor! He spoke of the violation of purchasing policies and procedures and "shortfall" on cash controls. He said, "I was not aware of the violation of procedures and unauthorized event growth." He went on to say if he had been aware of them he would have stopped them. OK... He said he called for an immediate audit when he finally became aware of the problems. Heightened awareness within the Finance Department, which he has charged with being the place where such abuses will be stopped in the future. He said that department will be the "Eyes and Ears" to control that kind of abuse. A new "buyer" position has been authorized and has been filled. The sole responsibility of that buyer will be oversight of purchasing processes. Interviewing continues for a new Purchasing Supervisor, to oversee the buyer's activities. All analysts and Managers will receive increased purchasing training. The Purchasing Manual will be revised. Again, he apologized for all the missteps. It was very painful to hear him speak because one had the impression that, while the proverbial "buck" stopped with him, there had been forces beyond his control that may have contributed to the situation. Certainly, he trusted certain people too much. At 6:30 the Public Comments segment began, with each speaker being given 2 minutes to address any issue involving the 60th Anniversary celebration. Fourteen (14) people stood to address the committee and staff. The comments were wide-ranging. I'll not try to provide a word-for-word transcript, but will give you a taste of what was said. Several speakers were very angry about the way volunteers were treated. They spoke from personal experience, having volunteered at the event. They described the treatment as "terrible" and wanted to name names, but honored the request by Scheafer and Hatch to not do that - almost. Complaints ranged from verbal abuse to inconsiderate behavior regarding assignments, break venues, providing water, etc. 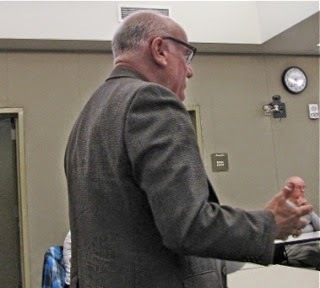 Harold Weitzberg, an unofficial committee member who worked tirelessly, and said he thought the event was terrific, acknowledged that his experience was not the same as others who spoke, but understood their frustration. 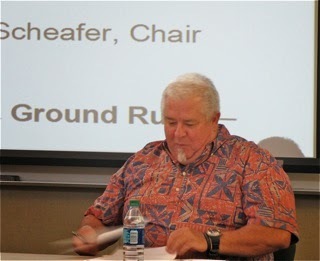 He also acknowledged that Sue Lester and Cindy Brenneman had done an outstanding job of trying to promote the event. Flo Martin questioned the process by which SUN Group was selected to provide talent for the event, citing a lack of a formal Request for Proposals, and spoke of the numerous check authorizations NOT signed by Chair Scheafer, but "for" him by Dan Joyce and Christine Cordon. Jay Humphrey compared what happened in this instance to what could very well happen under a Charter with insufficient controls on no-bid contracts. He compared it to the City of Bell. He said what happened in this instance "speaks to the culture of the people who made the decisions and what they thought they could get away with." Reggie Mundekis suggested that the Conference and Visitors Bureau had become a de facto "slush fund" for pet projects by certain council members and suggested a mechanism be created to "wall off" the CVB from other city activities. She also wondered if the proper paperwork was submitted for whatever free tickets and other coupons that may have been distributed during the event. 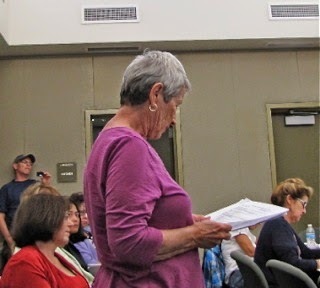 Beth Refakes, a conscientious regular at most city meetings for years and long-time resident, presented a laundry list of what she perceived to be faults of the process/execution of the celebration. Her criticisms ranged from relying too much on social media for publicity to no bottled water and/or cooling stations for volunteers. She wondered whether we actually got a good return on our investment, with more than a half million dollars being spent on entertainment for 16 thousand people. Robin Leffler also addressed the "signature" issue, calling them "forged". She also speculated that it was unlikely that such misdeeds happened because of only one person - that the decisions were not likely made in a vacuum. Anna Vrska briefly mentioned that her lengthy analysis of the files resulted in what she thought was a $10,000 shortfall in revenue and offered to go over her findings with staff to resolve it. Charles Mooney said the 60th celebration was a "great event", but that the management controls were terrible. A frustrated and very angry Theresa Drain called for a forensic audit of the entire 60th celebration process. Weitzberg chimed in at the end, suggesting that an ad hoc group be formed to help push the resolution of pending issues along. Hatch said he would discuss it with the City Council, since it was they who formed the committee. The meeting then turned to the comments by committee members, to use as much time as they chose to discuss what they thought was good or bad about the event, and how things could be improved. 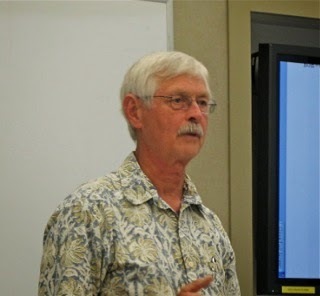 First up was Bob Ooten, a Director of the Costa Mesa Sanitary District and Chairman of the "Sustainability" Sub-committee. He told us his group produced a pamphlet that could be used forever for such events and that they spend "Zero" of their $3,500 budget. He said it had been difficult to get together with other sub-committees. Kim Pederson, Vice-Chair of the Parks and Recreation Commission, thanked all the volunteers and staff, and the public for coming and speaking out. He hoped that the negatives wouldn't drown out all the positives from the event. Charlene Ashendorf, Chair of the Scarecrow event, was disappointed that the promotion team seemed to simply run out of gas by the time her event came around in October. She praised Chairman Scheafer, saying that he never let them down. She said she and her volunteers spent thousands of hours creating the scarecrows, and that they spent only $4,000 of their $10,000 budget. 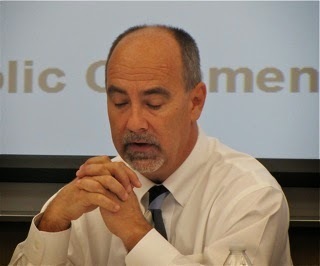 Rob Dickson, Vice Chair of the Planning Commission, was the Chairman of the Kickoff event, expressed disappointment that so much money was spent on big name bands and not on local talent. He suggested that the "taste of" event should have exclusively Costa Mesa eateries. He indicated that the Kick Off event evolved into something where only two people had any control - he didn't name names. He indicated that, even though he was Chairman of the event, he had no authority to act on issues, and that future such events should have clear lines of authority. He praised the volunteers for their hard work and Hatch for his candor. Lynell Brooks was the Chair of the Volunteers and praised them all. She said there were lots of very talented people with good leadership skills, but those talents were not fully utilized. She also said there was not enough time to properly put this kind of event together. She also bemoaned that it became a regional event, not a Costa Mesa event. Cecily Renteria is an employee of the Recreation Department and was appointed by Hatch to the committee. She observed that there seemed to not be enough time, too. Councilwoman Wendy Leece observed that the event got too big. She also observed that many of the volunteers were not "Costa Mesa" volunteers, but were from the Orange County Marathon. 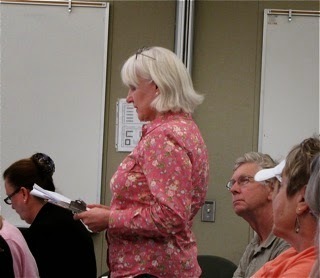 She also expressed concern about the "taste of" choices, indicating that the contract provided for the inclusion of outside Costa Mesa vendors. She also expressed concern about the beer pulls cash distribution. Howard Hull told us he was in charge of the beer pull cash distribution. Previously, there had been concern about how the cash was handled. He also said he, personally, contacted many Costa Mesa restaurants about participating but all he got were "no's" for an answer. During the criticism by some committee members and members of the public that was clearly directed squarely at him I observed him making notes and smirking. 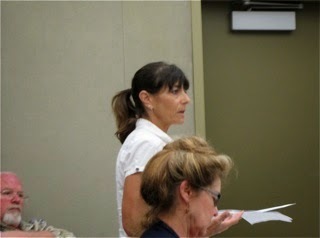 Cindy Brenneman, first finished reading Theresa Drain's comments, mentioning lack of proper radios, water, shade, etc. 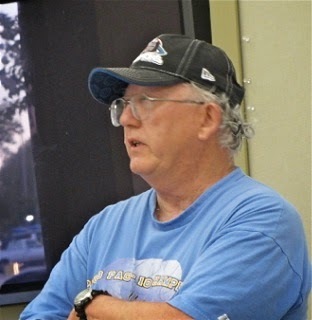 Then, as herself, she praised several committee members for their outstanding work and mentioned that Howard Hull had been the one who abused some of the volunteers and failed to provide water for them. She also observed that this committee worked for months on what was supposed to be a year-long event and barely got an acknowledgment while the Charter Committee got expensive plaques and a party to celebrate their accomplishment. She cited the need for more checks and balances in financial matters. Sue Lester then launched into what turned out to be at least 20 minutes of positive and negative observations. She praised staffers Mike Brumbaugh, Bob Knapp and Dan Baker for service above and beyond the call of duty. She thought that the community had a great time. She wondered what happened to the "permanent piece of art" that was supposed to be part of the celebration - to the tune of $50,000 $10,000. (10% of expenditures, originally estimated at $125,000, not the more than $500,000 actually spent. See Sue Lester comment, below). There's no sign of it, or a plan for it. She talked about the Sustainability committee doing a great job, and how great the Car Show was. She talked about the great volunteer turnout, and what a great job the coordinators did, except when they were usurped by Hull. She also mentioned that some committee members failed to fulfill their tasks during the event. She wondered where all the money went, and described the event as an "Epic Fail" from a financial standpoint. She expressed concern that the VIP areas should not be in the middle of things - it divided folks. She observed that, because of this event, she'd been interviewed by both the Federal Bureau of Investigation (FBI) and the Orange County District Attorney! She found it amusing that she, a former operator of a Medical Marijuana dispensary, had never been interviewed by either body before, but now had been because she chose to volunteer for a community party. She demanded that The City request the District Attorney tell us if there will be prosecutions, or will they just drop the case. She felt all the volunteers need to know. She also asked if the committee will be able to make a presentation to the City Council. 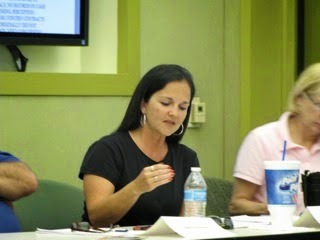 Vice Chair Melinda Lowery then spoke about her role. She suggested that, in answer to one of the survey questions, "Yes", we should do this kind of event again. She was very sorry volunteers had been treated so badly. Chairman Scheafer suggested the next such party be in 15-20 years... and chuckled. He was concerned about the short time frame available to produce the party and the use of outside, expensive entertainment instead of local talent. He observed that the committee meetings had been very enthusiastic and full of excitement and focus. Some observations of my own... As several speakers said, the "Kick Off" event seemed to take all the energy from what was supposed to be a year-long series of celebratory events, particularly when rumors of fiscal improprieties began to surface. Several lovely events - art contests, the scarecrow event, received very little publicity. Also, I agree with Sue Lester. The DA should let us know what's going on. If it requires Hatch to make an official inquiry, then it should be done, and done soon. I was disappointed in Hatch. Clearly, there were serious management foul-ups in this event. He apparently trusted the wrong people. And, again, as Robin Leffler observed, it's highly unlikely the things that were messed up occurred in a vacuum. There were many lessons to be learned from this debacle. Among the questions that were never answered a year ago is "Why?" Why have a 60th celebration in the first place? The second question is, "How did this go so badly?" I have it on good authority that some of the things that happened were done intentionally. Proper controls WERE in place - they were just ignored and the gatekeepers in charge of insuring compliance with proper controls and policies were simply bypassed. I found myself wanting to talk with now-departed former Finance and Information Technology Director, Bobby Young about what happened. He's the straightest arrow I know, so I cannot imagine him tolerating such procedural violations without direction to do so. We may never know, but we're certainly entitled to know. The Mouth From Mesa North, resurfacing after being mostly invisible at meetings over the past couple months, was skulking around the back of the crowd last night. He arrived late and was relegated to the cheap seats. Then, about half-way through the meeting, armed with only that snippet of information, he left. This morning he posted HIS version of events, armed only with his own bias and a teeny piece of the information presented last night, HERE. Sorry, you'll have to wade through the manure about black on white crime to find the relevant piece. His complaint about the computers is interesting. If he had just asked he would have known that those computers he's tucked in behind were in place for the CAD/RMS training on the new program launched earlier this week by the CMPD. 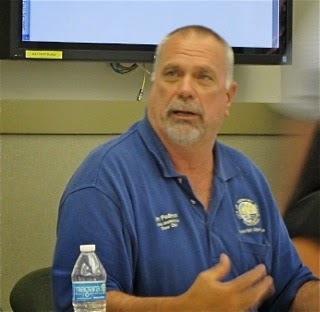 That's why the meeting was crammed into only half the room at the EOC. 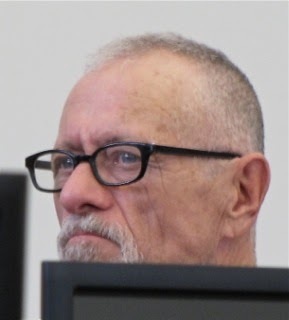 This poor sap has become virtually irrelevant in the discussion of important issues in our city - a caricature of himself, with his "Breaking Bad" countenance. What a waste of what was probably at one time a prodigious intellect. Jeff great article, thank you for staying up to 3 AM To write this. Why does Howard Hull hate Costa Mesa? Where would he learn this? The permanent piece of art that was supposed to be purchased by the city as part of the 60th budget to commemorate the anniversary was 10k, not 50k. The amount was just under 10% of what the city had originally budgeted which was 125k, not just under 10% of the actual cost of the entire event which was 518k, so please make that correction for me. Conversations about this event, especially the financials could go on forever. There are still many unanswered questions. The District Attorney's Office has the case information that resulted from a 6 month long police investigation. The D.A. 's Office will either file charges or it won't. In either case, the people of the City of Costa Mesa deserve an official statement from that office. Were laws broken and if so, will those responsible be charged or not? Great snippit of what was said last night Geoff. Unfortunately those in charge would not budge at requests to move the meeting to a bigger room to accommodate those who wanted to attend. So we were cramped as you said in to half of the EOC and could not even see the 8-10 members of the public that were hidden behind computer monitors. This actually is kind of lock step with how most everything went with this event. Poorly thought out, no back up plan, and no input from committee members. My reason for pointing out the difference between this hard working (I mean the roll up your sleeves, park cars, move equipment, set up tables kind of work) and the Charter cmte, was to once again remind folks that if you aren't one of the anointed Mayoral appointees or pet committees you are treated quite differently. Time did not allow for a lot of the line by line questions in the financials. For example, the outreach and community events sub-committee that Sue Lester chaired and I assisted with was given a budget of $16,050 to spend on all outreach for the event that was supposed to span the full year celebration. After combing through every line of the financials provided, I can only account for a total of $201.76 in reimbursements to me and Ms. Lester, yet "they" managed to write off $10,588.46 to that sub-committee by charging $7,000 for concerts in the park, $3,188.46 for direct mail and $400 for the military tribute band (entertainment?) with no mention of $201.76. Yes there was an investigation, and yes it has been turned over to the DA and FBI. But what's happening with it? Are they afraid to file because it's an election year and oh my there might be a connection to the indicted Ponzi schemer Roland Barrera? Or is there a connection to the OCGOP's Scott Baugh and the 60th Tastefest? Why were some "hand picked" volunteers paid in the form of a donation to their pet organizations? So many questions and so few plausible answers. I will be on the phone to the DA's office everyday asking what's happening with the investigation. If you'd like to call yourself, the number is 714-834-3600. It's a recording and you'll have to leave a message but it may help us get the answers needed to close the books on what is now and forever will be a sad part of our City's history. Cindy, my thoughts exactly as to why we are still paying, 9 months later, for an employee to be on leave. Either he violated policy or not. I was taught that if you receive a check signed, "For (someone)" that you do not accept that check. WTH? Someone had to authorize these checks to be paid. Who? I still contend that as much a micro manager as Righeimer is, he knows where every dime went. I am also glad the mistreatment of the female volunteers by the person in charge, became public. That particular person should never be in charge of people. So the event as a party was a complete failure. But, what if it is intended to make money for someone else? The money will never be traced, sadly. Then it wouldn't be a failure, would it? Thanks, Geoff for a great article on last night's meeting. Thank you to everyone who was there trying to get answers to the many questions we have regarding the expenditures and overspending,among other things, at the 60th Anniversary celebration. So Howard Hull, the one responsible for abusing and denying water to the female volunteers at the event sat there scribbling notes and smirking? Teresa Drain is correct. We do need another independent audit on what happened. God bless her husband for providing water for the volunteers there. Rotten eggs to those who kicked them out of their own break room!! The 'Taste of OC' should have included Costa Mesa restaurants. I don't believe they all turned down an invitation to showcase their menus at the event. Was insufficient time to prepare a factor? Thanks again, Geoff for staying up late to provide us with the truth. Hull smirks because he knows his bootlicking has earned him protection. What a great job by committee members. Great forensics. Great courage. Especially Cindy, Sue, Teresa, Charlene. Women of valor and truth! I don’t know if this boil got lanced last night. I think without legal resolution it may continue to fester. What happened in the 60th Anniversary kick-off with the money and how some volunteers were treated shabbily while others got the VIP treatment and entitlements is a microcosm of how the city council majority have treated the finances and the public for 3 and a half years. After reading the summary of the 60th Anniversary I came to one conclusion. Tom Hatch's is primarily responsible for the epic fail and enormous financial nightmare. He is responsible for hiring and delegating the job to Public Affairs Manager Dan Joyce to act in his behalf. It is a well known fact around City Hall that Mr. Joyce acted on the authority of Tom Hatch. Tom Hatch reports to and acts on the authority of the City Council Three: Council Member Gary Monahan, Mayor Jim Righeimer, and Mayor Pro Tem Steve Mensinger. 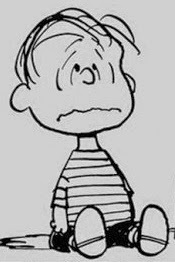 As citizens of Costa Mesa, you must ask yourself if Tom Hatch has done nothing wrong ; Why is the F.B.I. investigating he and his office? 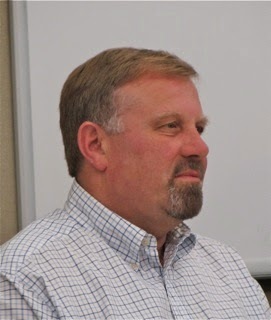 Why is the City of Costa Mesa negotiating to pay off Public Affairs Manager Dan Joyce because he refuses to resign? Furthermore, in 2003, the City of Costa Mesa held a 50th Anniversary Celebration. A young woman was contracted and responsible for the celebration. 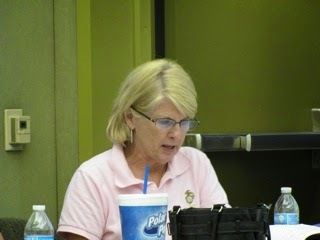 She handled all aspect of the celebration, from media, volunteers, employee participation, and merchandise, etc. This celebration (albeit low-key) went on without a hitch. City Council was involved and the person primarily responsible for hiring this young lady Allan Roeder.